Ilocos Norte 1st District Representative Rodolfo Fariñas is running for governor in the 2019 elections after all. According to a Rappler article, the Ilocos Norte politiko substituted former Barangay Bengcag chairperson Jesus Arimbuyotan on November 29. 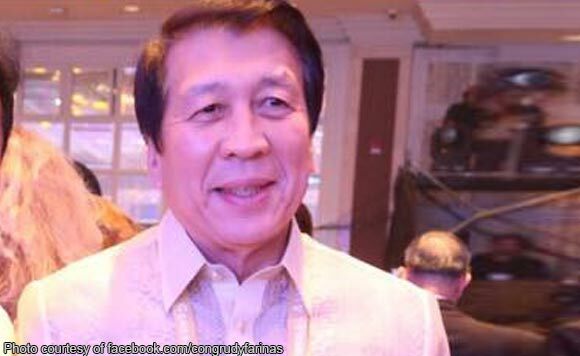 Fariñas is running under the ruling Partido Demokratiko Pilipino-Lakas ng Bayan. He will be going up against Ilocos Norte 2nd District Senior Board Member Matthew Manotoc, the grandson of the dictator Ferdinand Marcos. Fariñas’ daughter, Ilocos Norte 1st District Senior Board Member Ria Fariñas, is seeking to replace him in as 1st District representative.